Joyce is like her name, full of joy as well as panache and outspoken resiliency. She is the sole care provider and mother of 25 children. Joyce’s story of resiliency and love reflects the insecure reality of residents of informal settlements as she has been forcibly evicted and displaced from her home 3 times in the past several years. 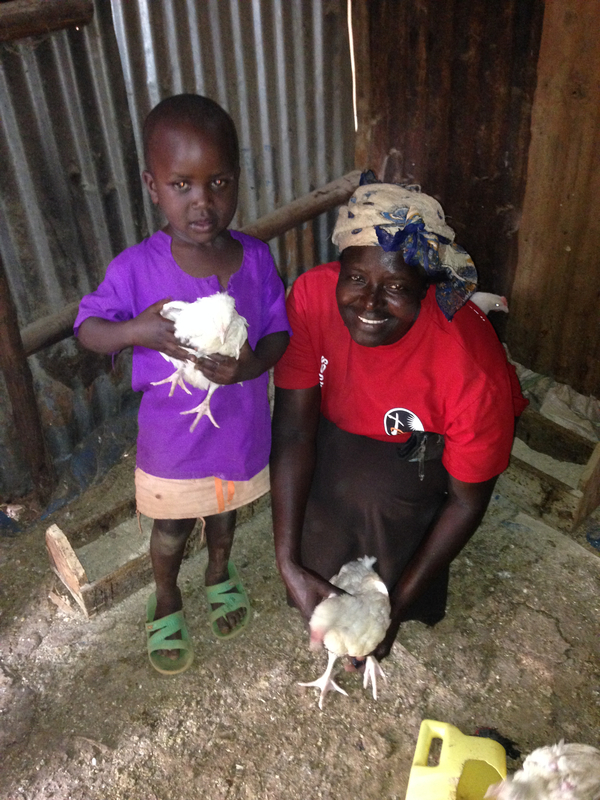 In spite of the instability and precariousness Joyce is up against, she has persevered and runs a successful business selling chickens which allows her to support her 25 children (5 biological and 20 AIDS-orphan) and pay their school fees. In the future, she hopes she can buy land for her children so that they may not face the same issues of forced eviction and displacement they have experienced far too many times. Joyce’s Story: After escaping the war in Northern Uganda, Joyce moved to Kampala and settled into Nakawa, an informal district on the outskirts of the city. She used to grow maize and carry it into town to sell. 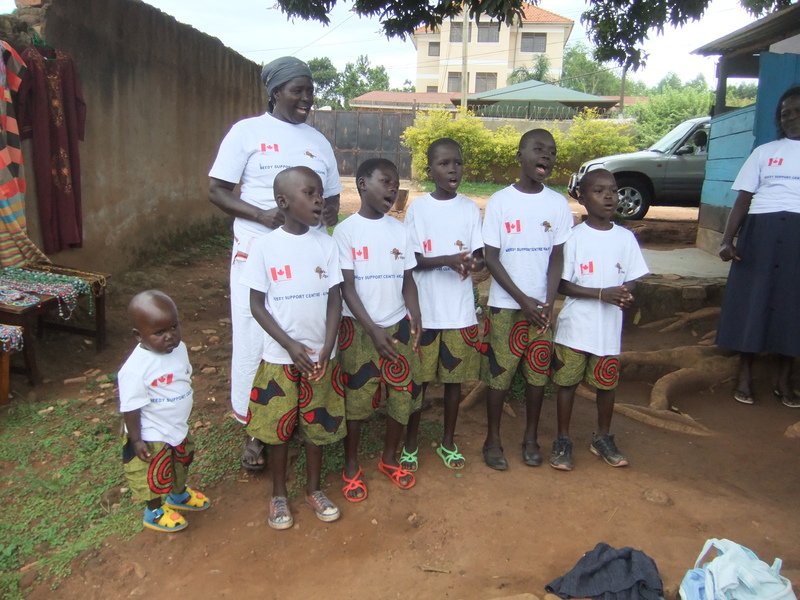 Joyce was enrolled in The Sustainable Livelihoods project which was supported by the Canadian Government and Canadian donors and focused on 1. Entrepreneurial skills 2. Community health worker training 3. Start up support to get a business off the ground. Fragility and vulnerability, along with the kinds of resources people and communities can access contribute to on-going poverty and skills based programs, like the Sustainable Livelihoods Program, was set up to build on local resiliency to vulnerabilities, and to leverage resources to reduce poverty. Joyce began selling chickens through the Sustainable Livelihoods Program. As a care taker Joyce assumes the role of both mother and father. Being a single mother to 25 children means that most of her day is consumed by domestic work (dishes, laundry, cooking, and cleaning); however, Joyce exemplifies the double-work burden experienced by many women since she is also the primary breadwinner for her household and engages in multiple income generating activities to sustain her family’s livelihood, as well as being a community advocate. CAP/AIDS also supports community capacity building work and has worked with CAP/AIDS Uganda and a local community based organization, The Needy Support Centre. 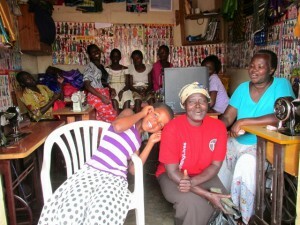 Joyce Oruma is a mobilizer for the Needy Support Center – and connects and supports mothers, especially those who moved from the North, like Joyce, and who have been impacted by HIV/AIDS. The organization is currently in a process of reconnecting with community members after the previous eviction in which all their members were displaced and is looking to find ways to support disconnected community members especially to support their members’ rebuilding livelihoods. Joyce has played a significant role in playing a peer counselor role for young women and for mobilizing mothers. Joyce Oruma is a maternal change maker and an inspiration to everyone who meets her to do more for more people, especially our young people.